Emily met pianist Alice Rosset at the music festivel l’Eté Musical de Jurignac, in Charente, France in the summer of 2011. 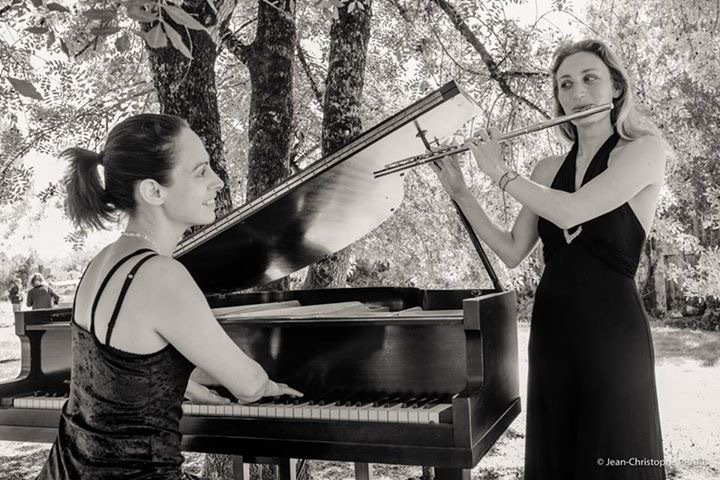 Emily and Alice got on very well both personally and musically, and since then have worked together every summer, building up repertoire and recital experience as a duo. Emily and Alice try to choose repertoire with equal parts (rather than flute with piano accompaniment), so theirs is a true duo. The two players share an attention to detail and a passion for phrasing which makes working together and creating their own unique and carefully-thought-out versions of pieces a real joy for both players. In July 2016 they made a UK tour with an all-French programme, performing in Faversham, Leatherhead, West Hampsted and High Wycombe all within the same week. They plan to repeat the experience each year by working intensively and then organising a tour together, either in France or the UK. Andre Caplet’s Rêverie and Petite valse, performed live in the Alexander Centre in Faversham on 12th July 2016. Roussel’s Krishna, from Joueurs de flute, performed live in the Alexander Centre in Faversham on 12th July 2016.